I like to start photographing two hours before the 'first look'/first portraits or when the makeup artist arrives. This provides at least an hour to document the details of your wedding day before moving into the ‘getting ready’ process. Detail shots are one of my favorite aspects of wedding storytelling. These photographs capture all of the work you have put into your wedding. They show your personal style along with the style you have developed as a couple. A few things to consider about detail photography.... keep all of your detail items together (invitations, rings (bride’s and groom’s), shoes, dress, hair pieces, veil, jewelry, flowers and any other details that are important to your wedding day). This makes photographing these items faster and ensures that nothing is missed. It is helpful to have two sets of invitations. Please make sure your florist will have all bouquets onsite before your photography start time. I like to photograph the reception and wedding location before any guests have arrived. 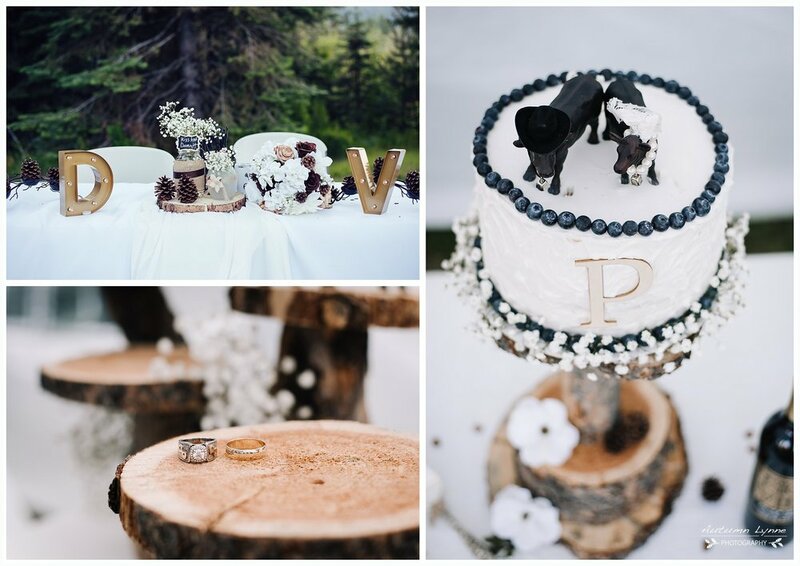 These shots help tell your wedding story and are wonderful additions to any wedding album. Get ready in a room with windows that provide lots of natural light. The cleaner the room the better! Clutter sticks out in pictures. Bridesmaids should be dressed and ready before the bride, this makes for more flattering bridal dressing pictures. Getting ready should start 3 to 4 hours before the ceremony. I encourage couples to consider a first look. A first look provides more portrait images and is less rushed than post wedding couple pictures. Plus, the intimate emotion of a first look is so much fun to capture! A first look also allows for less time spent photographing between the ceremony and reception, which means more time spent with your guests. This session should happen about 2 hours before your ceremony. If you choose to not do a first look then the bride and groom portraits, wedding party formals and family formals will have to be photographed after the wedding. This will take at least an hour and a half. These are the pictures you will hang up in your home. They are the most important photographs of your wedding day and should not be rushed! They can be done before or after the ceremony. This session should include yourself and your photographer only. The less distractions the better. This is a time for you to relax and enjoy each other. If you have children they can be included at the end of the session. This session is will take 30-45 minutes. Wedding party shots take about 30 minutes (more for multiple locations and larger parties). If you are planning to have wedding party pictures done at a different location, make sure to allow for travel time. Family formals will take at least 30 minutes. Picture taking should be done 30 minutes before the ceremony start time. This allows for everyone to be out of site before your guests begin arriving. Reception shots usually include candid images of you and your guests. I ask couples to provide me with a list of images that are important to them from the reception and a timeline for the reception activities. Good communication and developing a wedding day photography timeline is key to a smooth wedding day. Make sure you spend time with your photographer developing a photo timeline prior to your wedding day. It is better to have more photography time at the start of your wedding day then at the reception. Photography time can always be extended to cover more of the reception. Detail shots are so important to capturing your wedding day story. Allowing your photographer ample time at the beginning of the day gives them time to document these details. If you opt out of this, you will not receive these photographs because there is not enough time to squeeze them in around formals and the ceremony. The time of day should be considered when developing your photo timeline. Light becomes more flattering the lower the sun sits in the sky. Light quality will be at its worst from 10am to 2pm. ‘Golden hour’ light is within two hours of sunset and will be the most flattering light of the day. This is a wonderful time to take a second set of couple pictures, not only for the lighting but also for the mood. Couple pictures taken at the end of the day will have a more relaxed feel.